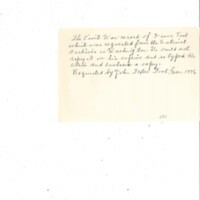 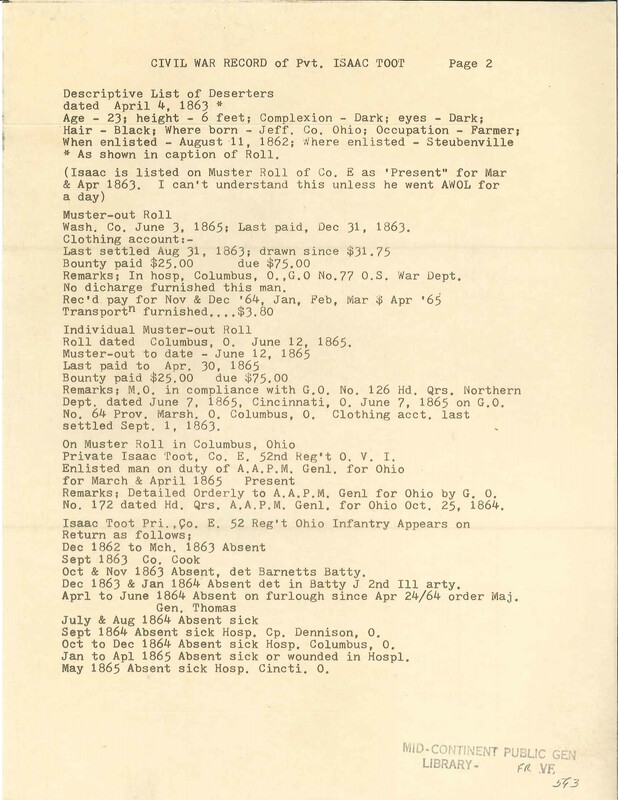 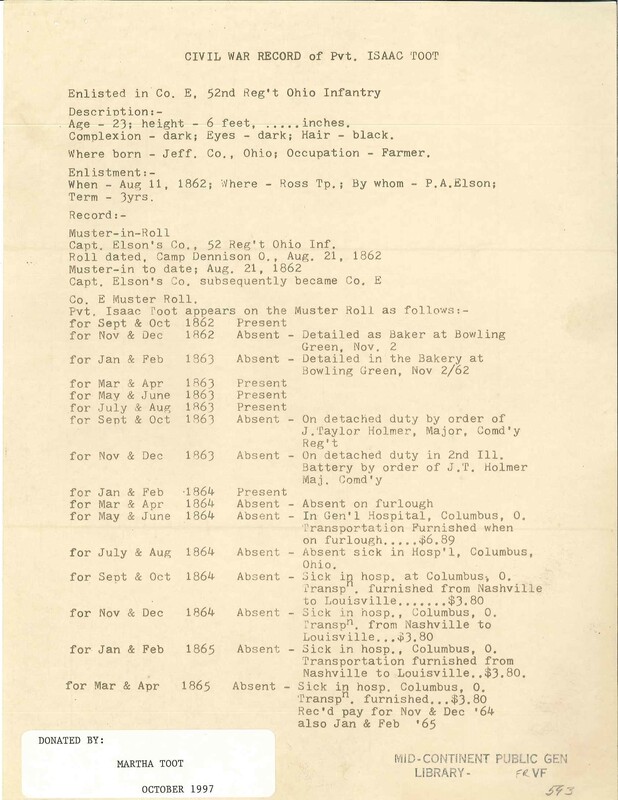 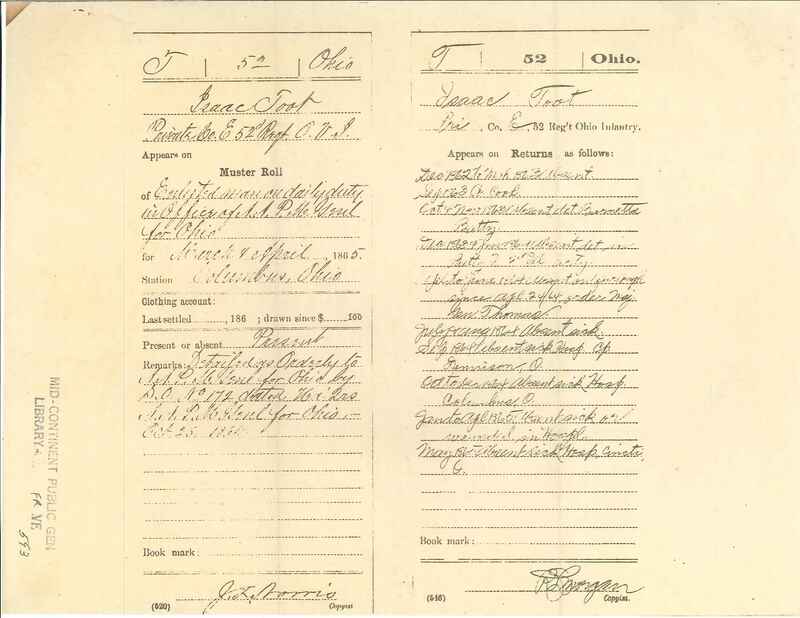 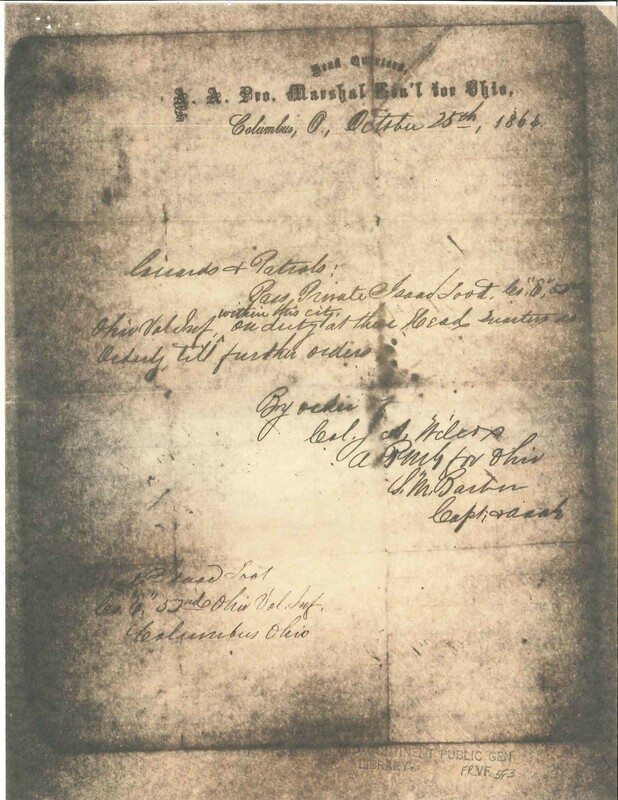 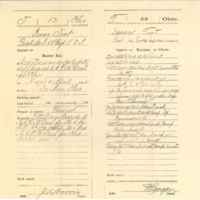 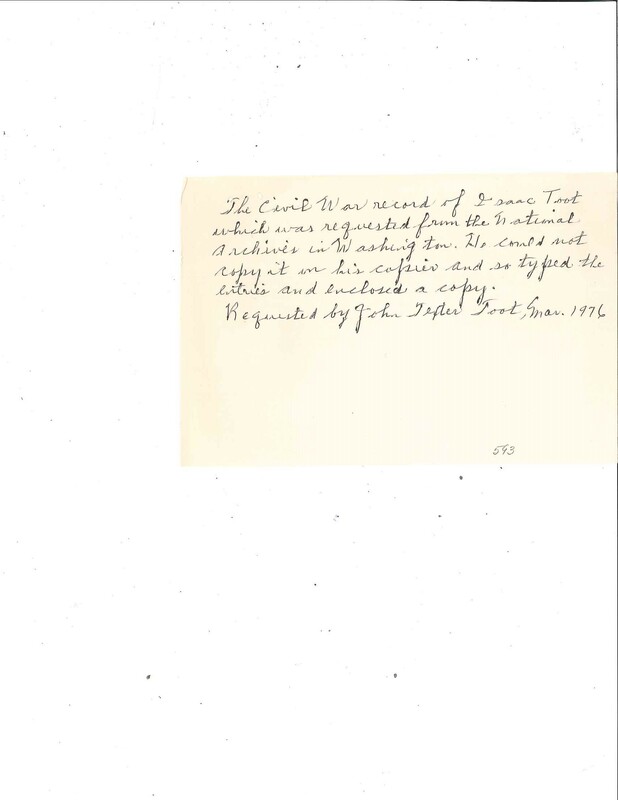 “Isaac Toot Civil War Record ,” Genealogy Gallery, accessed April 25, 2019, http://content.mymcpl.org/items/show/164. 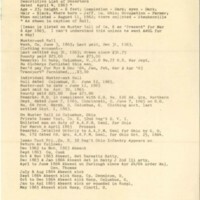 Mid-Continent Public Library holds copyright to this resource and provides access for educational and research purposes. 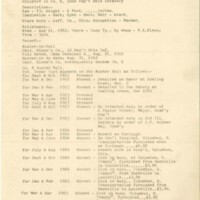 Please contact Mid-Continent Public Library with questions about the use and reproduction of this resource. 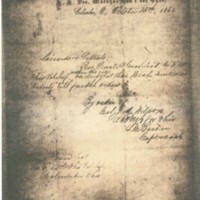 Joint Photographic Experts Group (JPEG); 209 KB.